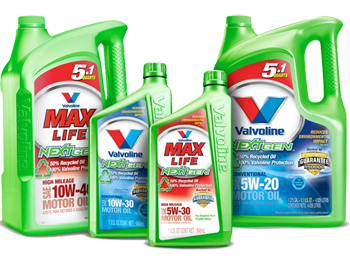 Made from 50% recycled oil, Valvoline NextGen is great for your engine, and even better for the environment. Get it now for only $7.89 a quart and save all month long! Say hello to your "Pocket Mechanic"
With the NAPA KNOW HOW mobile application, you can Live Chat with parts expert "Bob", and get free answers to all your automotive questions from a trained professional. You’ll also get access to Bob’s Top Repairs, step-by-step instructions and tips for completing automotive maintenance jobs. NAPA PROLink streamlines the parts buying process by providing a real-time web-based connection between your computer and our store. The best part is that NAPA PROLink is free, available to all of our account customers, and is simple to use since it only requires a few mouse clicks. We offer a free parts delivery service to all of our account customers. All you have to do is call our store and request a delivery, sit back, and relax! You will receive your parts promptly without ever leaving your shop, it's that simple. PROLink is also integrated into our delivery system so you can order online and receive the same professional service you've come to expect from us. With the NAPA KNOW HOW mobile application, you can browse the Top Repairs section and get detailed instructions and tips to complete many common automotive maintenance jobs. Need answers right now? They're only a click away! Live chat with "Bob", our ASE expert and get instant answers to all your automotive questions. He'll be there to help you from 9am to 9pm EST. Get To Know "NAPA Know How"
At NAPA Auto Parts, we don’t just talk the talk about know how, we walk the walk too! After all, we've been keeping the Turks & Caicos running for over 30 years. Whether it’s in store, on the phone or online, you can always count on us to bring you what matters most - quality replacement parts and unparalleled customer service. - Helpful advice from our multi-lingual staff on maintaining and repairing your car. - Over 400,000 quality parts, tools and accessories to choose from - the largest inventory in the country! - Quality brands you can trust for all categories of vehicle. - Parts experts with extensive in-depth knowledge of all types of parts for all kinds of manufacturers and models. - Competitive prices that give you a great value. Have more questions? Join the NAPA community and follow us on Facebook and Twitter. Want to work for the TCI's leader in the auto industry? Send your resume to info@napa.tc. Still not ready to do it yourself? Bring your vehicle to Bayview Motors, your local NAPA AutoCare Center.